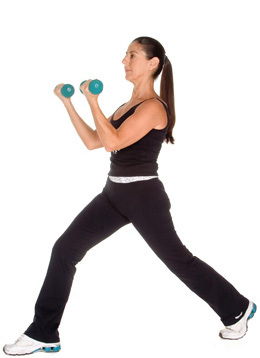 When lunging, flex your biceps and bring the weights up to chest height. Step back to the starting position. Do 10-20 repetitions with each leg.